any of your tarmac needs. Welcome to English Tarmac Ltd. 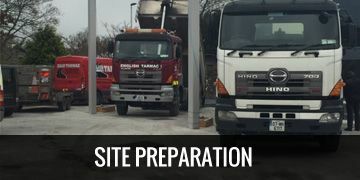 When searching for a professional, reliable tarmac contractor it is essential you find one with the relevant capabilities and experience in all aspects of the tarmac industry. 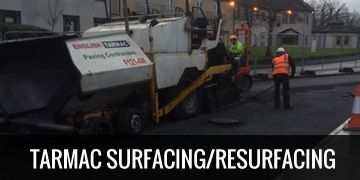 English Tarmac Ltd. offers a comprehensive range of tarmac services to our customers based throughout Munster. 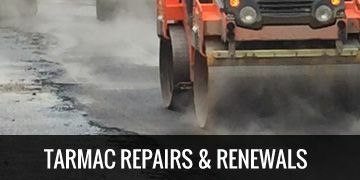 We have over two decades of experience in tarmac pavement, tarmac driveway, tarmac road construction, tarmac restoration and tarmac maintenance as well as all the professional credentials required to undertake any type of tarmac project. We use modern, cutting-edge machinery along with our professionalism and keen attention to detail to deliver a quality service. At English Tarmac Ltd. we have developed a strong reputation for the quality of our tarmac solutions. We aim not to be the cheapest but the most cost effective which is why we provide a warranty with all our work. Too often we find new entrants in the tarmac industry offering cheap services with sub-quality workmanship and below standard materials. We have often found that the staff in these companies are not trained in the relevant health and safety procedures. Accidents involving individuals untrained in health & safety may invalidate claims against your home or company liability insurance. Situations like this can leave you financially exposed. English Tarmac Ltd. Quality Policy & Procedures provides for full staff Health & Safety training by recognised authorities. English Tarmac Ltd. offers FREE non-committal estimates, a 1-year *warranty from date of completion on workmanship and material defects, and we guarantee all of our work.